A 19-year-old man was killed Sunday night in a shooting in Hollygrove near the Jefferson Parish line, police said. 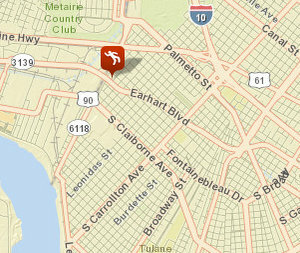 The victim, whose name has not been released, was found in the intersection of Cherry and Apricot streets around 11 p.m. Sunday with gunshot wounds to the head and body, according to a New Orleans Police news release. Anyone with information is asked to call lead Homicide Detective Candice Preston, or to call CrimeStoppers at 822-1111 to leave an anonymous tip that could be eligible for a cash reward of up to $2,500.